The Ferrari 212 Inter was the car with which, in 1951, he began close collaboration with Pininfarina. Ferrari, driven by the recognition that the victories of Giannino Marzotto and Franco Crosara on 195 S in the Mille Miglia in 1950, he decided to propose the same model line of a car that was less thrust, so as to be able to launch on the market of coach class. It was for this reason that, at the show in Paris, October 5, 1951, the Maranello enriched its range of models with the 212 Inter, he was going to slip in the segment of luxury car/sports, already initiated by the S 195 1950. This version featured a display less sporty, less harsh and more pure and touring cars. To take care of carrozzamento was Vignale in Turin, offering a simple and elegant coupe, as it should be according to the customer’s Ferrari Cavallino. The mechanics were almost unchanged compared to the previous model, it was instead increased the pace, which was brought to 2600 mm. Even on the 212 Inter were many body-builders to experiment, between 1951 and 1953: there were the convertible version of the Pinin Farina and Vignale and Ghia coupe, Pininfarina, Vignale and Touring. The engines had different powers, one with a single carburetor with a 32DCF 32DFC 3 carburetors and carburetor last 3 36DCF (Inter 212 – 1952). He was a moderate commercial success, especially in America, secured from both the advertising promulgated by the house, and by the victory of Luigi Chinetti and Piero Taruffi II to the 1951 Carrera Panamericana 212 coupe Vignale. 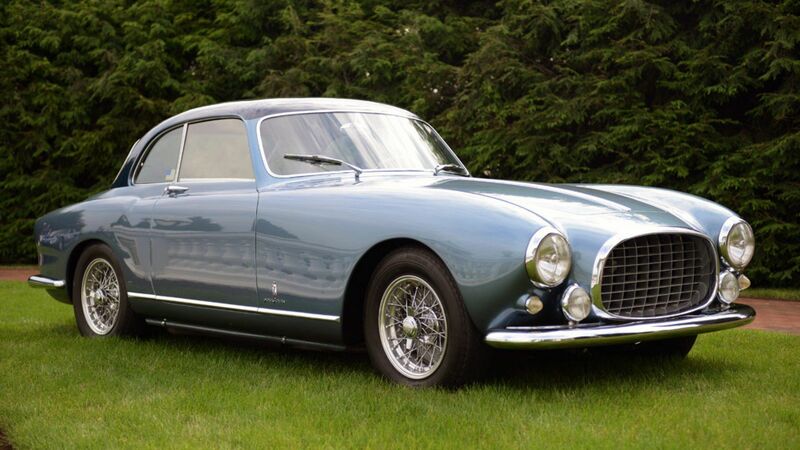 By Vignale was also made a version called MM Berlinetta for the rider Franco Cornacchia. He, with this special car, managed to win the Cup Intereuropea the race at Monza and Lecco-Balbo 1951. Various repairs after an accident and the car continued to run in competitions such as the Mille Miglia and the 24 Hours of Le Mans up to 1955. In the genealogy Ferrari 212 Inter plays a particularly important role, since it marks the beginning of a prolific and long-lasting collaboration between Ferrari and Pinin Farina, the latter staged two elegant convertible in ’52, one black Filipinetti Georges commissioned by the customer, and one metallic silver, presented at the Paris Motor Show of that year.